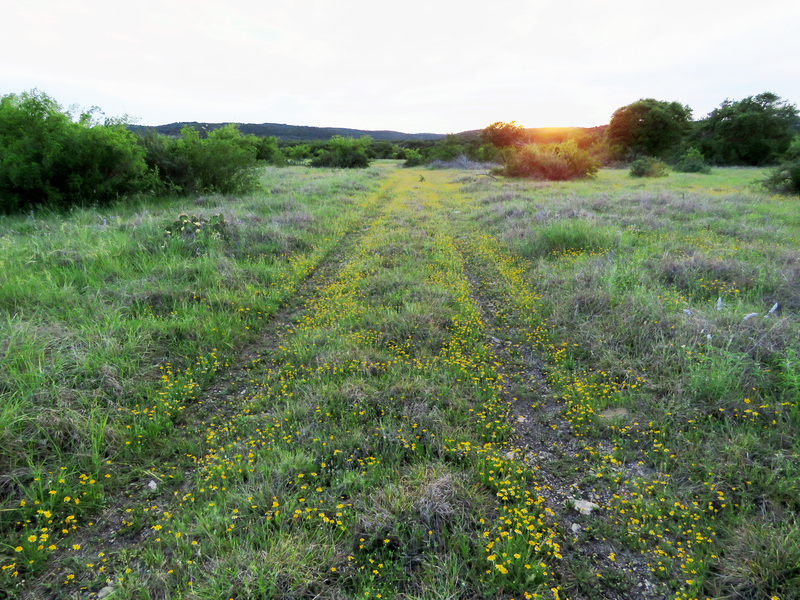 On Saturday I got to spend a whole day at our place in the Texas Hill Country — with nothing to do but take pictures! What heaven! 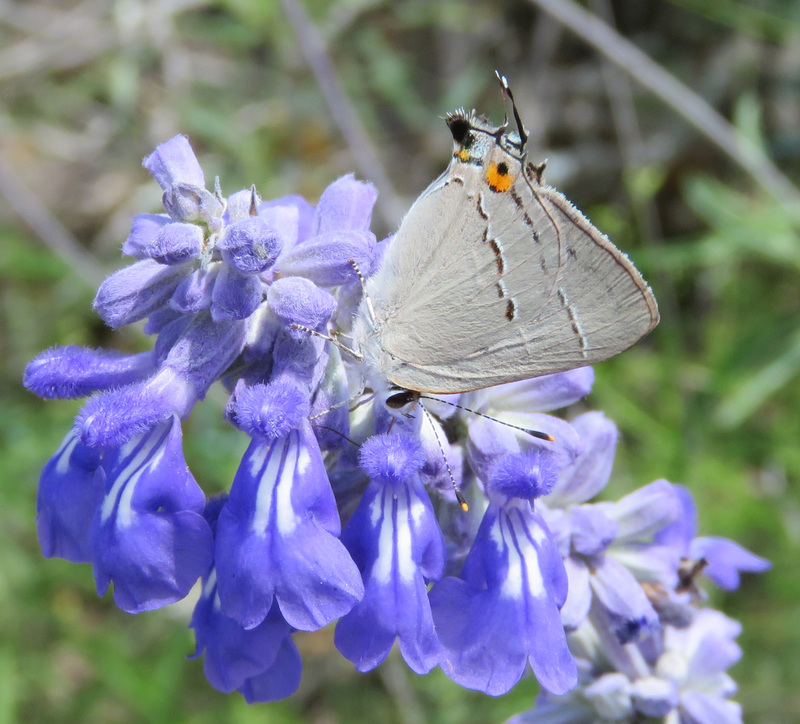 Now since I don’t get out there much, I had to move quickly to catch all the species I could, and I didn’t have the time to set up perfect shots, but here are some ones that came out good. It’s always nice to see the place when it’s green after a rain. 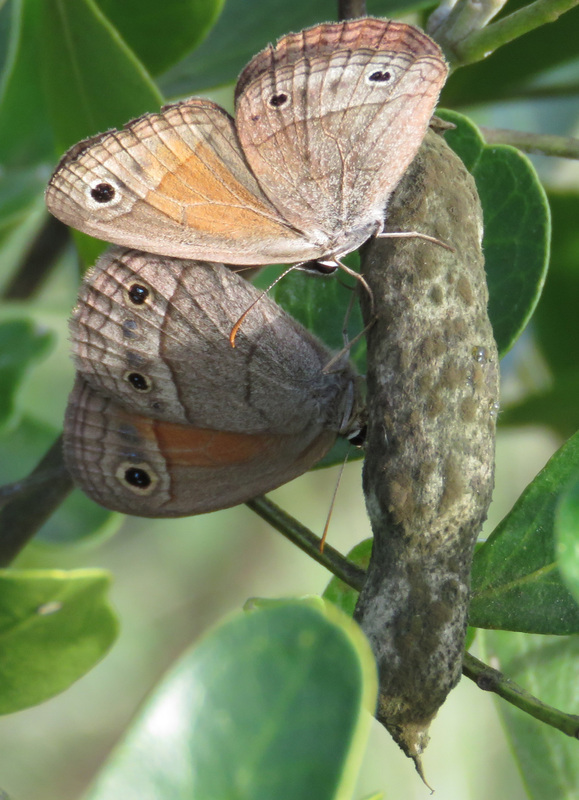 Two Red Satyrs on a Mountain Laurel bean. 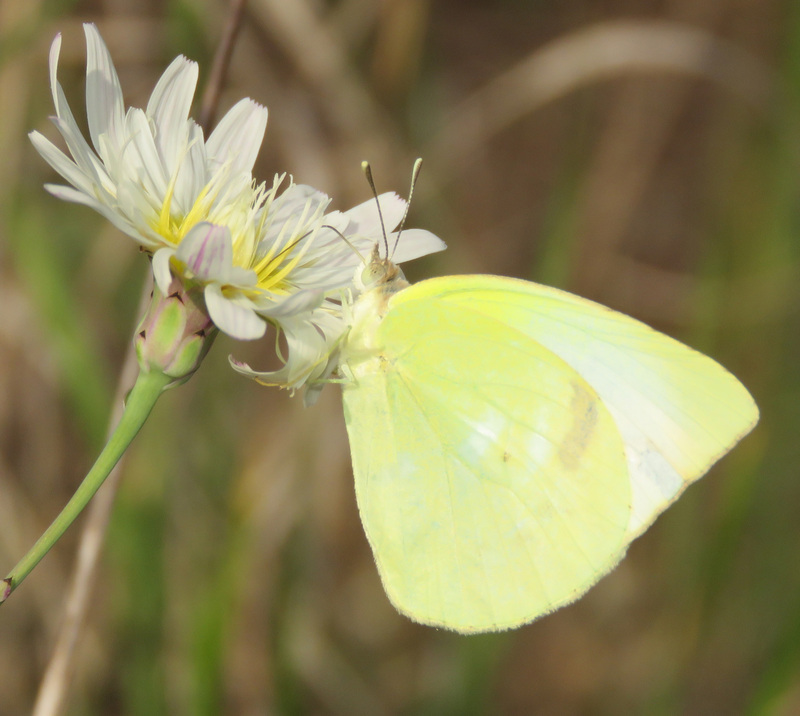 Sulphur butterfly, unknown species, on White Rock Lettuce flower. 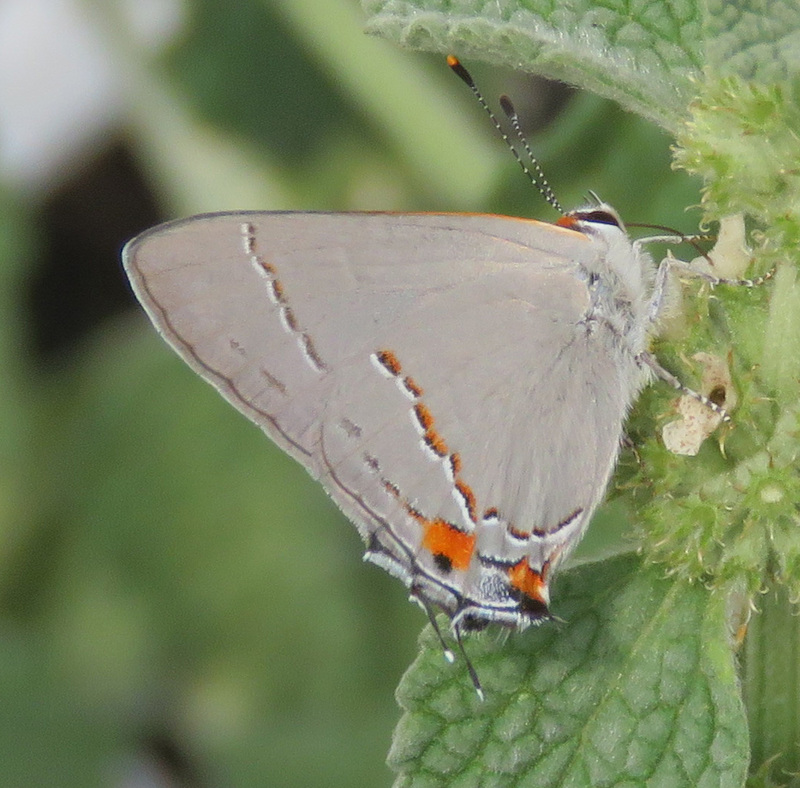 Gray Hairstreak, Styrmon melinus, on Mealy Sage. 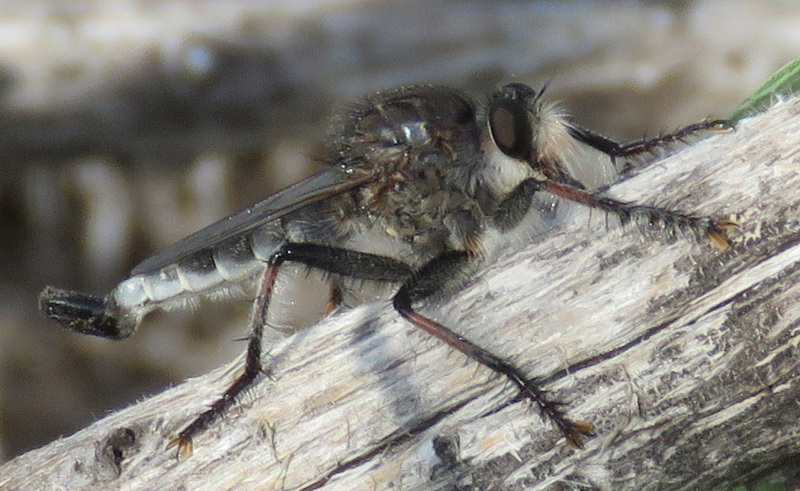 Robber Fly male, Efferia sp. This insect is about 2 inches (5 cm) long, about the size of a small dragonfly! 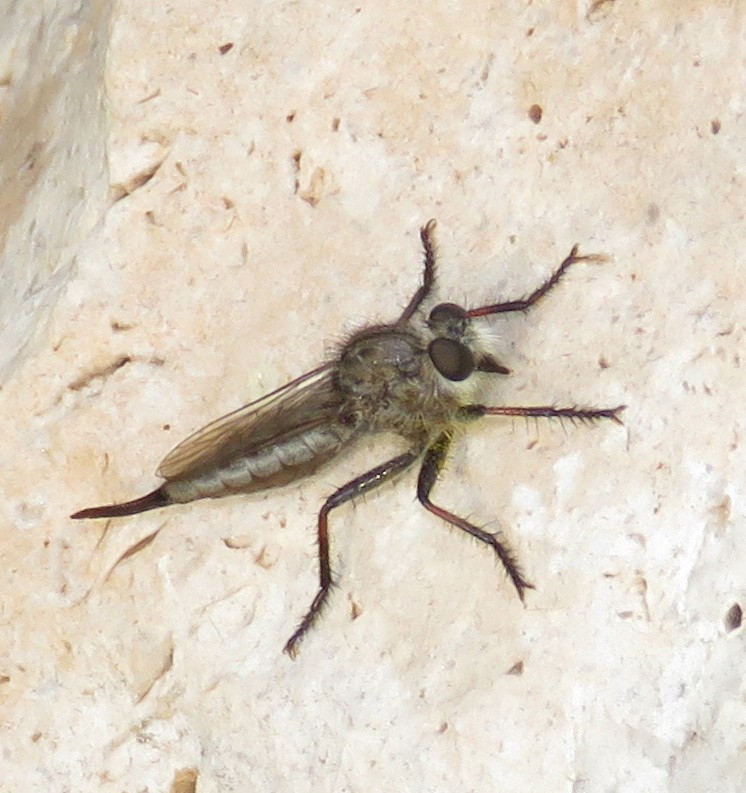 Robber Fly female, Efferia sp. 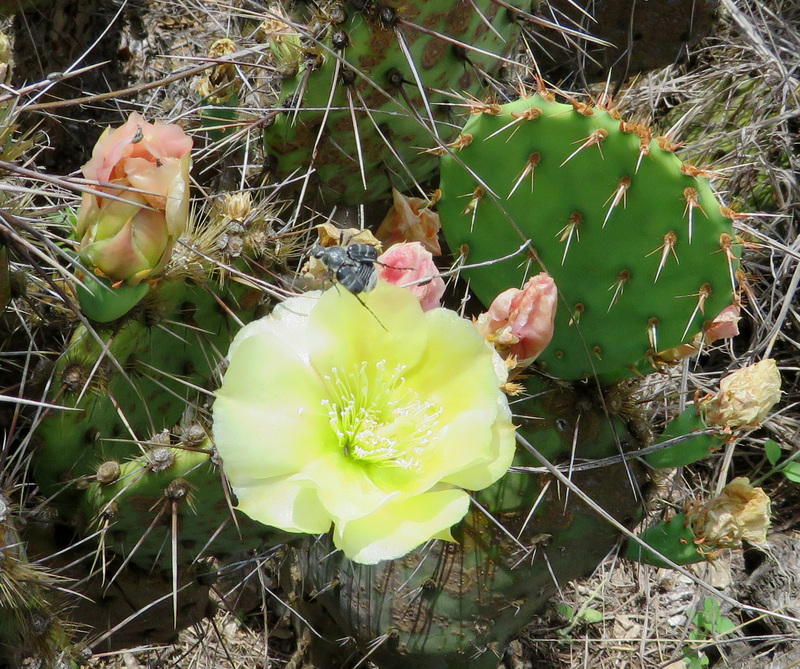 Prickly Pear cactus bloom with beetle flying off. 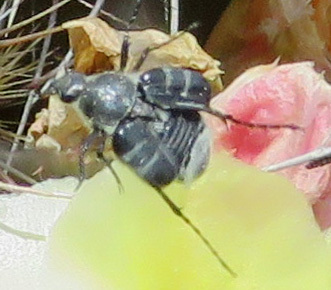 Close-up of the beetle. I have not been able to identify it yet. 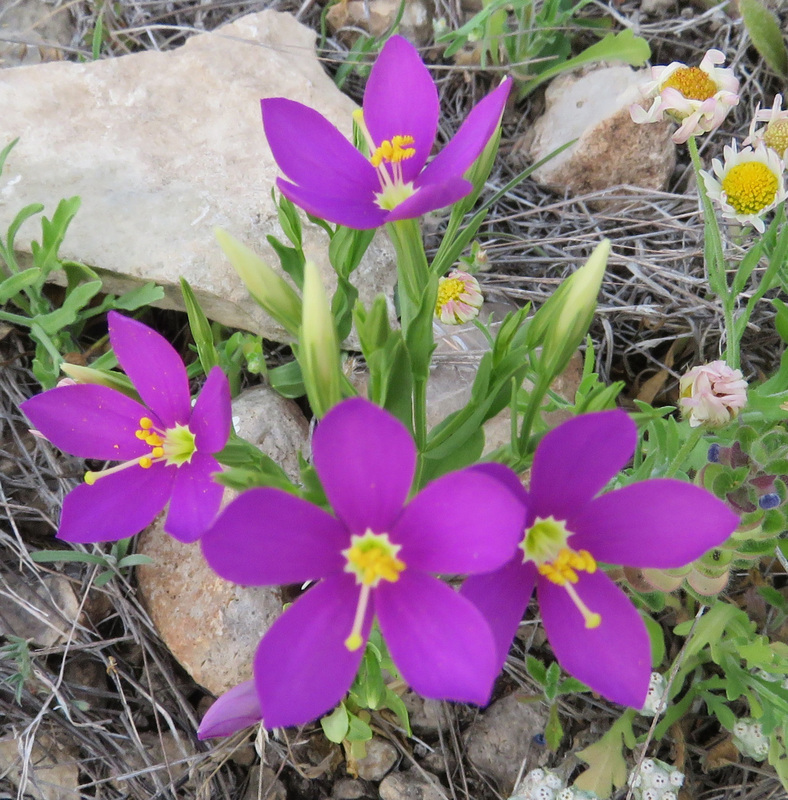 Mountain Pink, Centaurium calycosum. 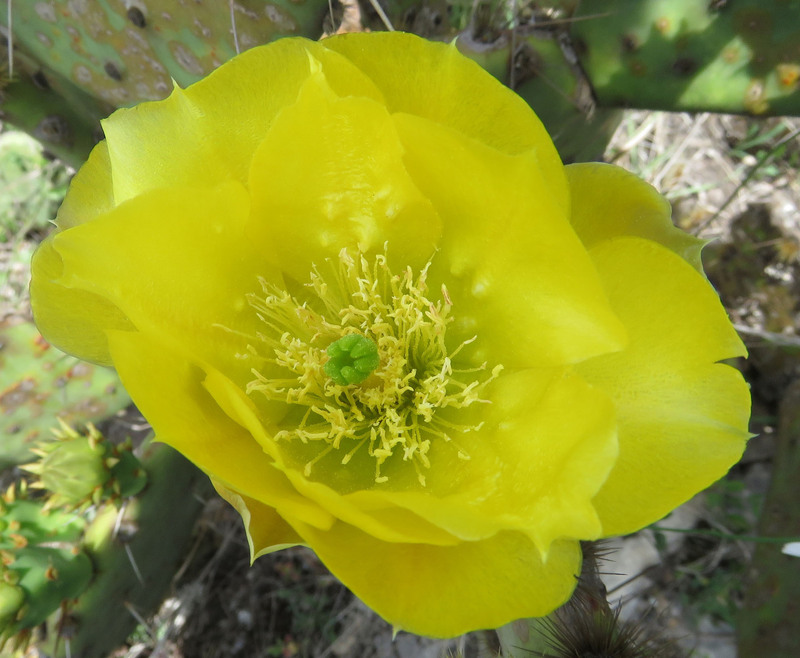 It was windy and the front blossoms are a little blurred, but it is still a pretty flower. I took this picture of a Wild Turkey, Meleagris gallopavo, through the window of the house. 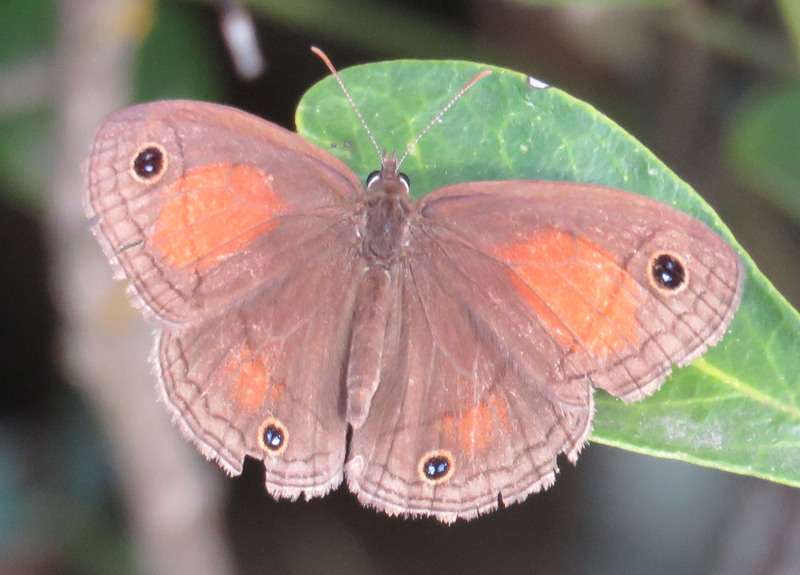 I am always happy to see species that I don’t have here at home. 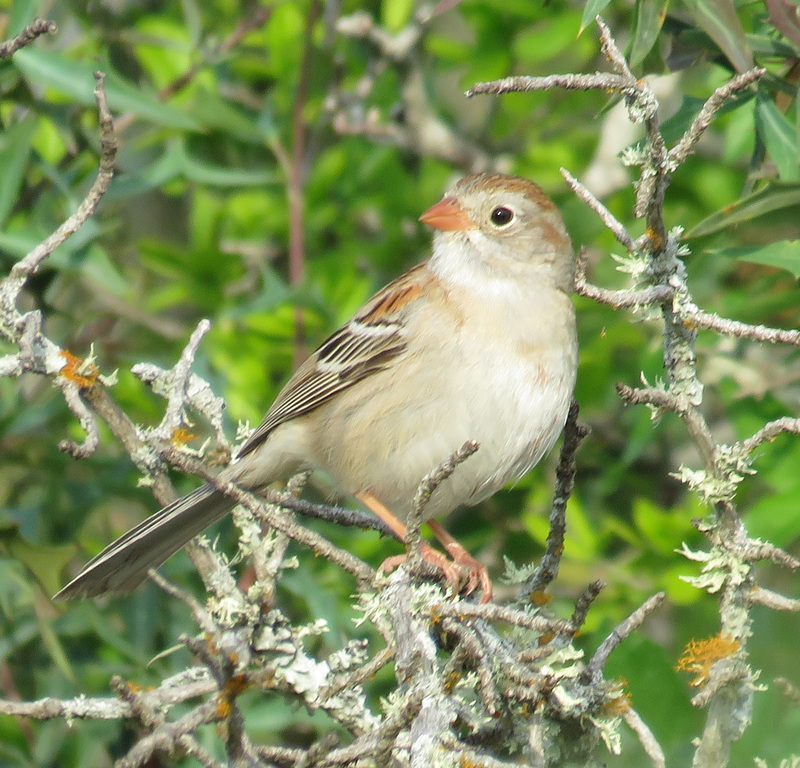 Besides these good pictures, I got pictures of a Yellow-breasted Chat, a female Scott’s Oriole, a Black-throated Sparrow, Lark Sparrows, and a flycatcher yet to be identified. 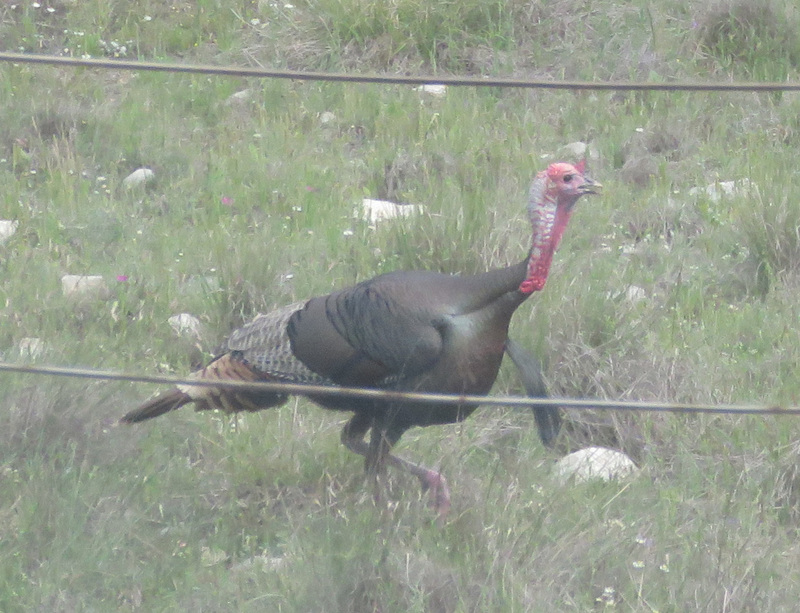 We also heard the turkeys gobbling, the quail calling “Bob White!”, and an elk bugling. It was a day to treasure. Could a day make you much happier?! You got some wonderful photos!